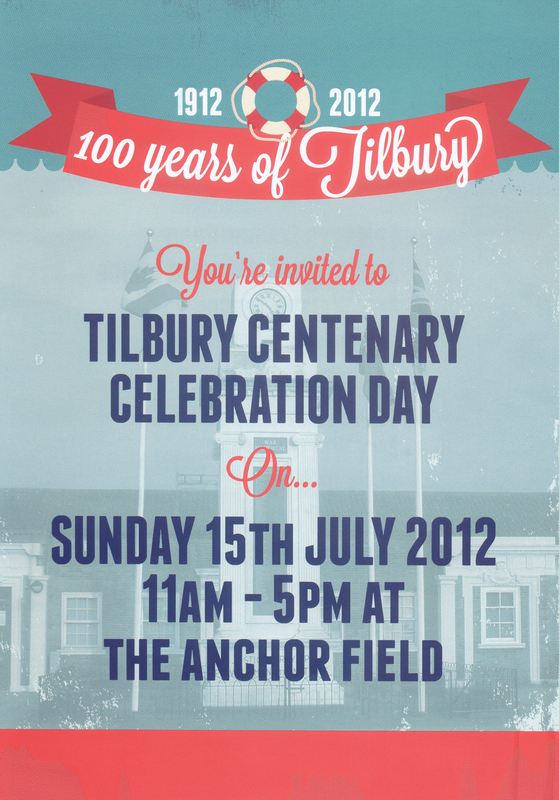 The 100th birthday celebrations for Tilbury Town were held on Anchor Field on 15th July, 2012. We had a mixture of sun and cloud, but no rain, although after the weather of the previous few days and weeks, the ground was wet and there was standing water on parts of the field. We were in the Heritage Marquee, along with other local groups and organisations and we had a steady stream of visitors (including Thurrock MP, Jackie Doyle-Price) looking at the photos and talking about their memories. 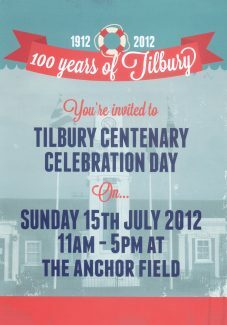 Among the attractions was a vintage bus that gave tours around Tilbury with long time resident, George Watts, providing a commentary. On the stage there was singing and dancing, including local school choirs and local stage and dancing schools – St Mary’s school sang happy birthday to Tilbury. In the arena there were dog displays, majorettes, pigeons, dancing and martial arts. Here is some video of the event from YourThurrock.